General Aviation is a commonly misunderstood term that does not provide a very accurate representation of the array of services it involves. Aviation is a vital transportation element that is critical in sustaining our region’s economic growth and development, and North Texas is home to an astounding number of airports and aviation employers. This fact makes it a unique and important part of our everyday life and one that deserves to be fully understood. To help accomplish this, NCTCOG has developed a variety of different outreach materials related to our aviation system. 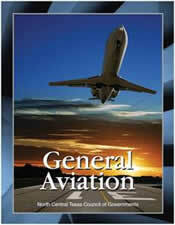 These materials are designed to educate the general public about the importance of general aviation and provide information on related activities. The products below are for public use and awareness. 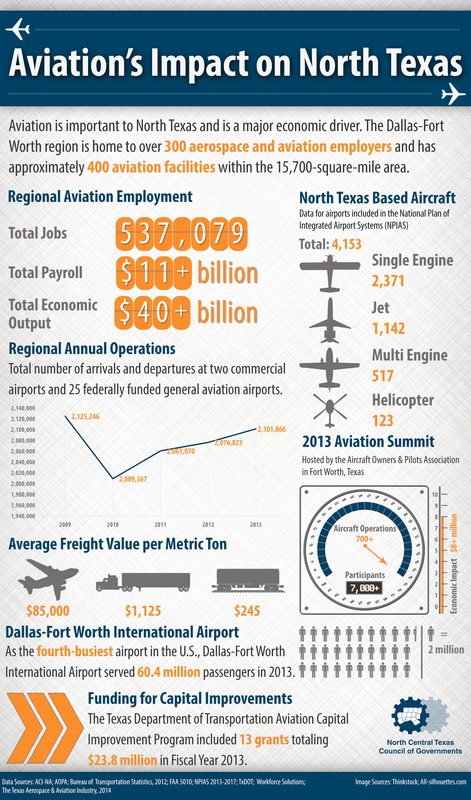 For a snapshot view of Aviation's Impact on North Texas, check out the Aviation Infographic. This series of video clips showcases the diversity, economic impact, and quality of life enhancements to our community through general aviation airports. Please click the links below to view the segments individually as Windows Media Files. You may also create a playlist from Windows Media Player that will allow them to be played seamlessly. Copyright, NCTCOG, February 2011. Modification of these video clips and other materials for other than their intended use and format without written permission from NCTCOG is strictly prohibited. For Internet Posting and Sharing, please reference the "Video Series Posting Guidelines." Video clips are large .wmv files. Download time will vary by user. 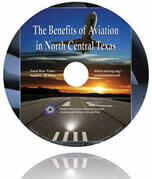 For faster online viewing, please visit www.youtube.com/user/NCTCOGAviation. Regional Mobility Initiatives is made available to the public free of charge as part of NCTCOG’s ongoing public outreach efforts. The wildlife brochure is a resource developed to educate the public on the potential hazards to airports, both in flight and on the ground, caused by wildlife. Examples of common regional species are found in the brochure in addition to simple "do's and dont's" to prevent unwanted visitors onto and near airport properties. The handbook is designed to assist in the development of practices that will eliminate or discourage encroachment around airports. The handbook attempts to take a simplistic approach to introducing land-use concepts, allowing the reader to better understand similar information found in more detailed federal and state documents. 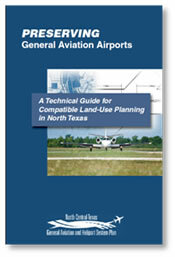 This educational brochure is designed to identify current land-use challenges facing general aviation and lists solutions for reducing them. It is through the public’s understanding and involvement in these issues that will help to ensure the continued benefits of general aviation in North Texas.